Hat tip to Ariel Adams, columnist for Luxist.com. Having been bit by the fascination of their late father for Ancient Egypt, businessman Thierry Peter Savineau and brother Pascal started working in 2002 on a watch brand that would tap into Ancient Egypt’s esthetic and geometric riches. 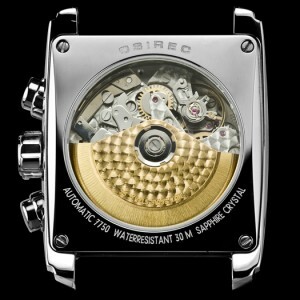 The brand OSIREC was successfully registered in the USA in September 2009 and in the European Union in February 2010. 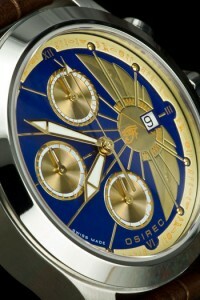 The two brothers launched their first collections in June 2010 at the JCK Las Vegas. Currently sold exclusively on their Web site, the first collections have been named Horus, Lotus, Bezel and Square. 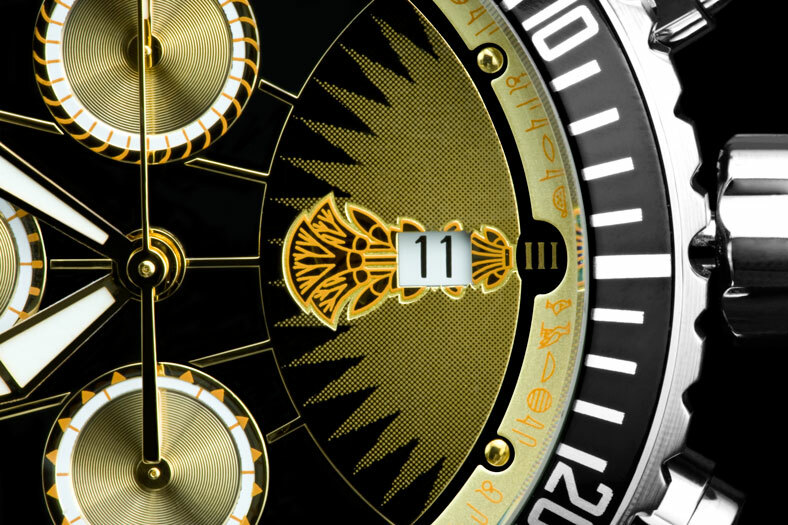 All the dials designs take cues from Ancient Egypt artifacts. 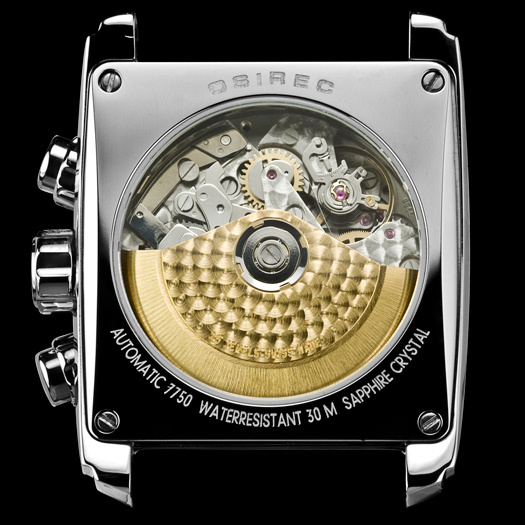 The dial designs cleverly takes advantage of the horizontal assymetry of the calibre Valjoux 7750 counters, which are by default respectively positionned at 3, 6 and 9 o’clock. Saldy, little work has been done on the movement itself. It would be interesting to see the same process being applied to the movement parts although it might impact on the prices, which range between USD 1,950 and 2,350.